I'm all for plans, coming up with intricate ideas of what we'll be doing while hanging out with friends. Whether it's plans to go the the farmer's market or to have a bonfire, whenever I make social plans, I like to come up with an activity or something that we can do, ensuring that we're not just sitting around doing nothing, but we have a form of entertainment. However, the thing that I realized is that while those activities are all fun, simple social plans, where there's no entertainment planned, can be just what I need. Here's why. What do I mean by "simple" social plans? By simple social plans, I mean going out with your friends with no entertainment planned out, just a destination to hang out at and chat. While I always chat with my friends whenever we hang out, by "simple" social plans, I mean ones where you literally only talk. Maybe you go out for coffee and just chat for the whole afternoon or go for a walk around the park, simple social plans don't have activities planned out for the entire social endeavor. I find that these simple social plans are best with small groups, since they're more centered on conversation. With bigger groups, people tend to break off on different subjects and also have different ideas on what they want to do. They're calming and stress free. No stress about arranging the plans or coming up with an exciting activity to do, all you need is yourself. Planning for these simpler endeavors is so much less stressful. I've had my fair share of stressful planning, maybe people aren't sure whether or not they can come, can't decide on what they want to do, or don't know where they want to meet. 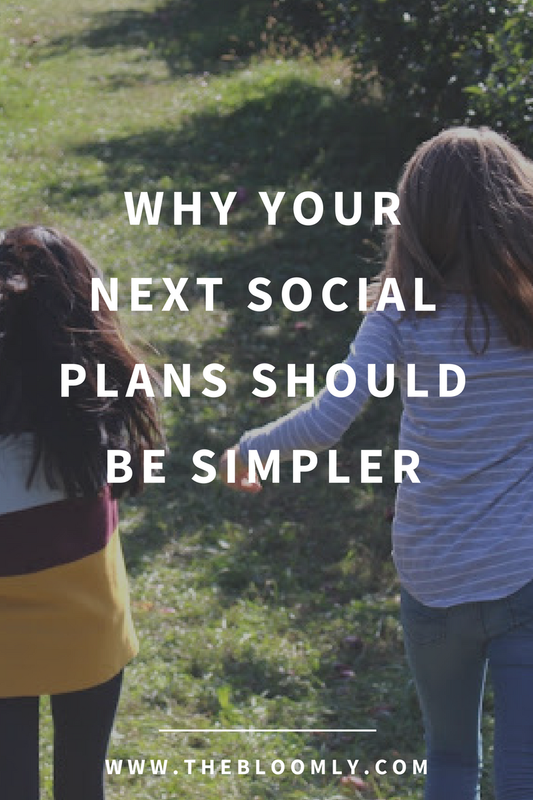 Having simple social plans allows for minimal planning, all you need is a time and destination. In addition, you don't have to get creative about an activity, you can go for the basics, maybe just a long, chatty lunch or a walk around the park. Low stress social plans? I'm in. Once you get to sit down, just talk and listen, you can learn new things about your friends that you never even knew. It's a chance to open up in a way that other social plans just don't do. 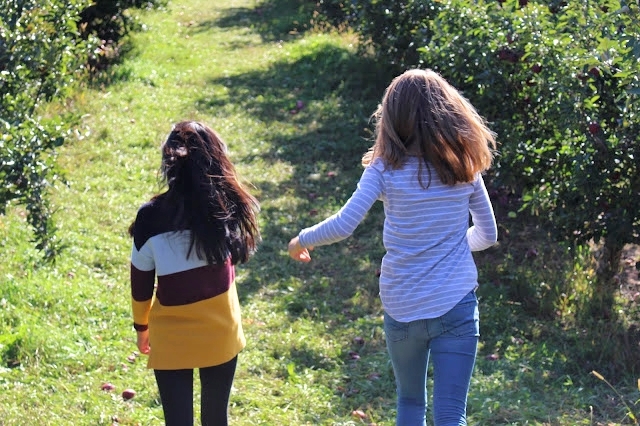 When you just talk, without any distractions from an activity or even phones, it's a lot easier for you to divulge into some of the tough topics or more thoughtful topics that really help you better get to know your friend(s). Not to say that other social plans aren't real and authentic, but when you're just sitting around talking, there's less of a need to focus on other things. That said, it's distraction-free, so your friend isn't thinking about how she totally need. With 100% interest in the conversation, everything flows easily, with authentic discussion about everything and anything. You don't have unattainable high expectations for them. Not to say that hanging out with your friends authentically brings low expectations, but in comparison with some more complex social plans (ex: going to the beach, going to the fair, baking day, etc.) expectations tend to not be as high. When I make plans to do an activity, I usually imagine how it'll play out before we actually go, causing me to already have expectations for what the day will look like. With simple social plans, my imagination doesn't go as wild and my expectations are lower. And lower expectations means less of a disappointment if things don't go as planned. I love this, Rebecca! I'm doing this tonight with my friends. Nights where you just sit down and talk with your pals are really the best.